First Soviet communications satellite network, using satellites in an inclined 12-hour orbit ensuring reception in northern latitudes. Molniya bureau Russian manufacturer of rockets and spacecraft. Molniya Design Bureau, Russia. Country: Russia. 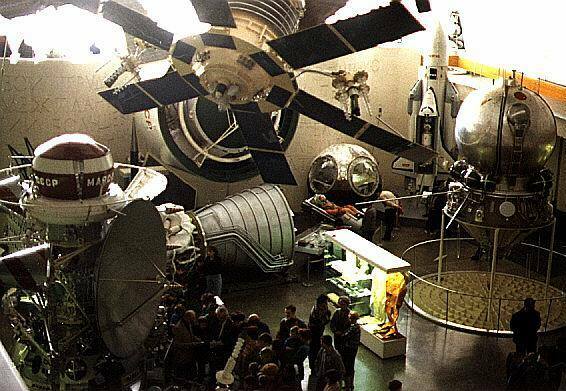 Spacecraft: Molniya-1, Molniya-2, Molniya-3, Molniya-1T. Launch Vehicles: Molniya 8K78, Molniya 8K78M, Proton-K/DM. Launch Sites: Baikonur, Plesetsk. Agency: Korolev bureau, RVSN, MO, MOM, Reshetnev bureau. 1971 November 24 - . 09:30 GMT - . Launch Site: Plesetsk. LV Family: R-7. Launch Vehicle: Molniya 8K78M. Molniya 2-01 - . Payload: Molniya-2. Mass: 1,600 kg (3,500 lb). Nation: Russia. Agency: MOM. Program: Molniya. Class: Communications. Type: Military communications satellite. Spacecraft Bus: KAUR-2. Spacecraft: Molniya-2. Decay Date: 1976-05-10 . USAF Sat Cat: 5620 . COSPAR: 1971-100A. Apogee: 39,553 km (24,577 mi). Perigee: 516 km (320 mi). Inclination: 65.00 deg. Period: 712.00 min. 1972 May 19 - . 14:30 GMT - . Launch Site: Plesetsk. LV Family: R-7. Launch Vehicle: Molniya 8K78M. Molniya 2-02 - . Payload: Molniya-2. Mass: 1,600 kg (3,500 lb). Nation: Russia. Agency: MOM. Program: Molniya. Class: Communications. Type: Military communications satellite. Spacecraft Bus: KAUR-2. Spacecraft: Molniya-2. Decay Date: 1977-03-22 . USAF Sat Cat: 6031 . COSPAR: 1972-037A. Apogee: 39,293 km (24,415 mi). Perigee: 479 km (297 mi). Inclination: 65.00 deg. Period: 706.00 min. Continued operation of the long-range telephone and telegraph radio-communication system; transmission of USSR central television programmes to stations in the Orbita network and international cooperation. .
1972 September 30 - . 20:19 GMT - . Launch Site: Plesetsk. LV Family: R-7. Launch Vehicle: Molniya 8K78M. Molniya 2-03 - . Payload: Molniya-2. Mass: 1,600 kg (3,500 lb). Nation: Russia. Agency: MOM. Program: Molniya. Class: Communications. Type: Military communications satellite. Spacecraft Bus: KAUR-2. Spacecraft: Molniya-2. Decay Date: 1978-01-12 . USAF Sat Cat: 6208 . COSPAR: 1972-075A. Apogee: 39,170 km (24,330 mi). Perigee: 470 km (290 mi). Inclination: 65.00 deg. Period: 703.30 min. Continued operation of the long-range telephone and telegraph radio-communication system; transmission of USSR central television programmes to stations in the Orbita network and international cooperation. .
1972 December 12 - . 06:51 GMT - . Launch Site: Plesetsk. LV Family: R-7. Launch Vehicle: Molniya 8K78M. Molniya 2-04 - . Payload: Molniya-2. Mass: 1,600 kg (3,500 lb). Nation: Russia. Agency: MOM. Program: Molniya. Class: Communications. Type: Military communications satellite. Spacecraft Bus: KAUR-2. Spacecraft: Molniya-2. Decay Date: 1975-01-22 . USAF Sat Cat: 6308 . COSPAR: 1972-098A. Apogee: 39,284 km (24,409 mi). Perigee: 507 km (315 mi). Inclination: 65.30 deg. Period: 706.40 min. Continued operation of the long-range telephone and telegraph radio-communication system; transmission of USSR central television programmes to stations in the Orbita network and international cooperation. .
1973 April 5 - . 11:11 GMT - . Launch Site: Plesetsk. LV Family: R-7. Launch Vehicle: Molniya 8K78M. Molniya 2-05 - . Payload: Molniya-2. Mass: 1,600 kg (3,500 lb). Nation: Russia. Agency: MOM. Program: Molniya. Class: Communications. Type: Military communications satellite. Spacecraft Bus: KAUR-2. Spacecraft: Molniya-2. Decay Date: 1979-01-06 . USAF Sat Cat: 6418 . COSPAR: 1973-018A. Apogee: 39,822 km (24,744 mi). Perigee: 532 km (330 mi). Inclination: 65.20 deg. Period: 717.70 min. 1973 July 11 - . 09:58 GMT - . Launch Site: Plesetsk. LV Family: R-7. Launch Vehicle: Molniya 8K78M. Molniya 2-06 - . Payload: Molniya-2. Mass: 1,600 kg (3,500 lb). Nation: Russia. Agency: MOM. Program: Molniya. Class: Communications. Type: Military communications satellite. Spacecraft Bus: KAUR-2. Spacecraft: Molniya-2. Decay Date: 1978-08-05 . USAF Sat Cat: 6722 . COSPAR: 1973-045A. Apogee: 39,292 km (24,414 mi). Perigee: 479 km (297 mi). Inclination: 65.00 deg. Period: 706.00 min. 1973 October 19 - . 10:26 GMT - . Launch Site: Plesetsk. LV Family: R-7. Launch Vehicle: Molniya 8K78M. Molniya 2-07 - . Payload: Molniya-2. Mass: 1,600 kg (3,500 lb). Nation: Russia. Agency: MOM. Program: Molniya. Class: Communications. Type: Military communications satellite. Spacecraft Bus: KAUR-2. Spacecraft: Molniya-2. Decay Date: 1983-07-08 . USAF Sat Cat: 6877 . COSPAR: 1973-076A. Apogee: 40,055 km (24,888 mi). Perigee: 555 km (344 mi). Inclination: 62.80 deg. Period: 722.90 min. 1973 December 25 - . 11:17 GMT - . Launch Site: Plesetsk. LV Family: R-7. Launch Vehicle: Molniya 8K78M. Molniya 2-08 - . Payload: Molniya-2. Mass: 1,600 kg (3,500 lb). Nation: Russia. Agency: MOM. Program: Molniya. Class: Communications. Type: Military communications satellite. Spacecraft Bus: KAUR-2. Spacecraft: Molniya-2. Decay Date: 1984-11-24 . USAF Sat Cat: 7000 . COSPAR: 1973-106A. Apogee: 39,934 km (24,813 mi). Perigee: 434 km (269 mi). Inclination: 62.90 deg. Period: 718.00 min. 1974 April 26 - . 14:23 GMT - . Launch Site: Plesetsk. LV Family: R-7. Launch Vehicle: Molniya 8K78M. Molniya 2-09 - . Payload: Molniya-2. Mass: 1,600 kg (3,500 lb). Nation: Russia. Agency: MOM. Program: Molniya. Class: Communications. Type: Military communications satellite. Spacecraft Bus: KAUR-2. Spacecraft: Molniya-2. USAF Sat Cat: 7276 . COSPAR: 1974-026A. Apogee: 35,168 km (21,852 mi). Perigee: 1,309 km (813 mi). Inclination: 64.40 deg. Period: 640.60 min. 1974 July 23 - . 01:23 GMT - . Launch Site: Plesetsk. LV Family: R-7. Launch Vehicle: Molniya 8K78M. Molniya 2-10 - . Payload: Molniya-2. Mass: 1,600 kg (3,500 lb). Nation: Russia. Agency: MOM. Program: Molniya. Class: Communications. Type: Military communications satellite. Spacecraft Bus: KAUR-2. Spacecraft: Molniya-2. USAF Sat Cat: 7376 . COSPAR: 1974-056A. Apogee: 38,868 km (24,151 mi). Perigee: 1,501 km (932 mi). Inclination: 64.50 deg. Period: 718.10 min. 1974 November 21 - . 10:33 GMT - . Launch Site: Plesetsk. Launch Complex: Plesetsk LC41/1. LV Family: R-7. Launch Vehicle: Molniya 8K78M. Molniya 3-01 - . Payload: Molniya-3 s/n 11. Mass: 1,600 kg (3,500 lb). Nation: Russia. Agency: MOM. Program: Molniya. Class: Communications. Type: Military communications satellite. Spacecraft Bus: KAUR-2. Spacecraft: Molniya-3. Decay Date: 1986-05-15 . USAF Sat Cat: 7540 . COSPAR: 1974-092A. Apogee: 40,095 km (24,913 mi). Perigee: 250 km (150 mi). Inclination: 64.10 deg. Period: 717.60 min. Operation of the long-range telephone and telegraph radiocommunications system in the USSR; transmission of television programmes to stations in the Orbita network. .
1974 December 21 - . 02:19 GMT - . Launch Site: Plesetsk. LV Family: R-7. Launch Vehicle: Molniya 8K78M. Molniya 2-11 - . Payload: Molniya-2. Mass: 1,600 kg (3,500 lb). Nation: Russia. Agency: MOM. Program: Molniya. Class: Communications. Type: Military communications satellite. Spacecraft Bus: KAUR-2. Spacecraft: Molniya-2. Decay Date: 1988-07-07 . USAF Sat Cat: 7583 . COSPAR: 1974-102A. Apogee: 40,065 km (24,895 mi). Perigee: 305 km (189 mi). Inclination: 61.90 deg. Period: 718.10 min. Operation of the long-range telephone and telegraph radiocommunications system in the USSR; transmission of television programmes to stations in the Orbita network. .
1975 February 6 - . 04:49 GMT - . Launch Site: Plesetsk. LV Family: R-7. Launch Vehicle: Molniya 8K78M. Molniya 2-12 - . Payload: Molniya-2. Mass: 1,600 kg (3,500 lb). Nation: Russia. Agency: MOM. Program: Molniya. Class: Communications. Type: Military communications satellite. Spacecraft Bus: KAUR-2. Spacecraft: Molniya-2. Decay Date: 1985-07-04 . USAF Sat Cat: 7641 . COSPAR: 1975-009A. Apogee: 40,746 km (25,318 mi). Perigee: 653 km (405 mi). Inclination: 62.80 deg. Period: 738.70 min. Decay date suspect Operation of the long-range telephone and telegraph radiocommunications system in the USSR; transmission of television programmes to stations in the Orbita network. .
1975 April 14 - . 17:53 GMT - . Launch Site: Plesetsk. Launch Complex: Plesetsk LC41/1. LV Family: R-7. Launch Vehicle: Molniya 8K78M. Molniya 3-02 - . Payload: Molniya-3 s/n 12. Mass: 1,600 kg (3,500 lb). Nation: Russia. Agency: MOM. Program: Molniya. Class: Communications. Type: Military communications satellite. Spacecraft Bus: KAUR-2. Spacecraft: Molniya-3. Decay Date: 1988-11-29 . USAF Sat Cat: 7738 . COSPAR: 1975-029A. Apogee: 39,323 km (24,434 mi). Perigee: 174 km (108 mi). Inclination: 61.90 deg. Period: 700.50 min. Operation of the long-range telephone and telegraph radiocommunications system in the USSR; transmission of television programmes to stations in the Orbita network. .
1975 July 8 - . 05:05 GMT - . Launch Site: Plesetsk. LV Family: R-7. Launch Vehicle: Molniya 8K78M. Molniya 2-13 - . Payload: Molniya-2. Mass: 1,600 kg (3,500 lb). Nation: Russia. Agency: MOM. Program: Molniya. Class: Communications. Type: Military communications satellite. Spacecraft Bus: KAUR-2. Spacecraft: Molniya-2. Decay Date: 2018-09-12 . USAF Sat Cat: 8015 . COSPAR: 1975-063A. Apogee: 38,492 km (23,917 mi). Perigee: 1,887 km (1,172 mi). Inclination: 63.90 deg. Period: 718.30 min. Operation of the long-range telephone and telegraph radiocommunications system in the USSR; transmission of television programmes to stations in the Orbita network. .
1975 September 9 - . 00:19 GMT - . Launch Site: Plesetsk. LV Family: R-7. Launch Vehicle: Molniya 8K78M. Molniya 2-14 - . Payload: Molniya-2. Mass: 1,600 kg (3,500 lb). Nation: Russia. Agency: MOM. Program: Molniya. Class: Communications. Type: Military communications satellite. Spacecraft Bus: KAUR-2. Spacecraft: Molniya-2. USAF Sat Cat: 8195 . COSPAR: 1975-081A. Apogee: 38,534 km (23,943 mi). Perigee: 1,840 km (1,140 mi). Inclination: 64.00 deg. Period: 718.20 min. 1975 November 14 - . 19:14 GMT - . Launch Site: Plesetsk. Launch Complex: Plesetsk LC43/3. LV Family: R-7. Launch Vehicle: Molniya 8K78M. Molniya 3-03 - . Payload: Molniya-3 s/n 13. Mass: 1,600 kg (3,500 lb). Nation: Russia. Agency: MOM. Program: Molniya. Class: Communications. Type: Military communications satellite. Spacecraft Bus: KAUR-2. Spacecraft: Molniya-3. Decay Date: 2017-11-19 . USAF Sat Cat: 8425 . COSPAR: 1975-105A. Apogee: 38,527 km (23,939 mi). Perigee: 1,823 km (1,132 mi). Inclination: 63.90 deg. Period: 717.70 min. 1975 December 17 - . 11:06 GMT - . Launch Site: Plesetsk. LV Family: R-7. Launch Vehicle: Molniya 8K78M. Molniya 2-15 - . Payload: Molniya-2. Mass: 1,600 kg (3,500 lb). Nation: Russia. Agency: MOM. Program: Molniya. Class: Communications. Type: Military communications satellite. Spacecraft Bus: KAUR-2. Spacecraft: Molniya-2. Decay Date: 1987-03-07 . USAF Sat Cat: 8492 . COSPAR: 1975-121A. Apogee: 24,113 km (14,983 mi). Perigee: 103 km (64 mi). Inclination: 62.80 deg. Period: 416.90 min. 1975 December 27 - . 10:22 GMT - . Launch Site: Plesetsk. Launch Complex: Plesetsk LC43/3. LV Family: R-7. Launch Vehicle: Molniya 8K78M. Molniya 3-04 - . Payload: Molniya-3 no. s/n 15. Mass: 1,600 kg (3,500 lb). Nation: Russia. Agency: MOM. Program: Molniya. Class: Communications. Type: Military communications satellite. Spacecraft Bus: KAUR-2. Spacecraft: Molniya-3. Decay Date: 1986-08-12 . USAF Sat Cat: 8521 . COSPAR: 1975-125A. Apogee: 40,708 km (25,294 mi). Perigee: 452 km (280 mi). Inclination: 62.80 deg. Period: 733.80 min. Decay date suspect Continued operation of the long-range telephone and telegraph radio-communication system within the Soviet Union and transmission of USSR central television programmes to stations in the Orbita and participating international networks (international cooperation scheme). 1976 May 12 - . 17:57 GMT - . Launch Site: Plesetsk. Launch Complex: Plesetsk LC41/1. LV Family: R-7. Launch Vehicle: Molniya 8K78M. Molniya 3-05 - . Payload: Molniya-3 s/n 16. Mass: 1,600 kg (3,500 lb). Nation: Russia. Agency: MOM. Program: Molniya. Class: Communications. Type: Military communications satellite. Spacecraft Bus: KAUR-2. Spacecraft: Molniya-3. Decay Date: 1990-04-14 . USAF Sat Cat: 8833 . COSPAR: 1976-041A. Apogee: 37,589 km (23,356 mi). Perigee: 93 km (57 mi). Inclination: 62.10 deg. Period: 664.30 min. 1976 July 1 - . 08:06 GMT - . Launch Site: Plesetsk. Launch Complex: Plesetsk LC43/4. LV Family: R-7. Launch Vehicle: Molniya 8K78M. FAILURE: Fourth stage failure.. Failed Stage: U.
Cosmos 837 - . Payload: Molniya-2 s/n 27. Mass: 1,600 kg (3,500 lb). Nation: Russia. Agency: MOM. Program: Molniya. Class: Communications. Type: Military communications satellite. Spacecraft Bus: KAUR-2. Spacecraft: Molniya-2. Decay Date: 1983-11-18 . USAF Sat Cat: 8927 . COSPAR: 1976-062A. Apogee: 936 km (581 mi). Perigee: 438 km (272 mi). Inclination: 62.80 deg. Period: 98.50 min. Failed Molniya..
1976 September 1 - . 03:23 GMT - . Launch Site: Plesetsk. Launch Complex: Plesetsk LC43/3. LV Family: R-7. Launch Vehicle: Molniya 8K78M. FAILURE: Fourth stage failure.. Failed Stage: U.
Cosmos 853 - . Payload: Molniya-2 s/n 26. Mass: 1,600 kg (3,500 lb). Nation: Russia. Agency: MOM. Program: Molniya. Class: Communications. Type: Military communications satellite. Spacecraft Bus: KAUR-2. Spacecraft: Molniya-2. Decay Date: 1976-12-31 . USAF Sat Cat: 9398 . COSPAR: 1976-088A. Apogee: 461 km (286 mi). Perigee: 243 km (150 mi). Inclination: 62.80 deg. Period: 91.60 min. Failed Molniya..
1976 December 2 - . 02:45 GMT - . Launch Site: Plesetsk. LV Family: R-7. Launch Vehicle: Molniya 8K78M. Molniya 2-16 - . Payload: Molniya-2. Mass: 1,600 kg (3,500 lb). Nation: Russia. Agency: MOM. Program: Molniya. Class: Communications. Type: Military communications satellite. Spacecraft Bus: KAUR-2. Spacecraft: Molniya-2. Decay Date: 1991-02-21 . USAF Sat Cat: 9574 . COSPAR: 1976-116A. Apogee: 36,437 km (22,640 mi). Perigee: 85 km (52 mi). Inclination: 62.00 deg. Period: 641.50 min. 1976 December 28 - . 06:38 GMT - . Launch Site: Plesetsk. Launch Complex: Plesetsk LC43/4. LV Family: R-7. Launch Vehicle: Molniya 8K78M. Molniya 3-06 - . Payload: Molniya-3 s/n 17. Mass: 1,600 kg (3,500 lb). Nation: Russia. Agency: MOM. Program: Molniya. Class: Communications. Type: Military communications satellite. Spacecraft Bus: KAUR-2. Spacecraft: Molniya-3. Decay Date: 1990-02-06 . USAF Sat Cat: 9635 . COSPAR: 1976-127A. Apogee: 13,594 km (8,446 mi). Perigee: 426 km (264 mi). Inclination: 59.50 deg. Period: 257.00 min. 1977 February 11 - . 14:57 GMT - . Launch Site: Plesetsk. LV Family: R-7. Launch Vehicle: Molniya 8K78M. Molniya 2-17 - . Payload: Molniya-2. Mass: 1,600 kg (3,500 lb). Nation: Russia. Agency: MOM. Program: Molniya. Class: Communications. Type: Military communications satellite. Spacecraft Bus: KAUR-2. Spacecraft: Molniya-2. USAF Sat Cat: 9829 . COSPAR: 1977-010A. Apogee: 38,214 km (23,745 mi). Perigee: 2,176 km (1,352 mi). Inclination: 63.30 deg. Period: 718.50 min. 1977 April 28 - . 09:10 GMT - . Launch Site: Plesetsk. Launch Complex: Plesetsk LC43/4. LV Family: R-7. Launch Vehicle: Molniya 8K78M. Molniya 3-07 - . Payload: Molniya-3 s/n 19. Mass: 1,600 kg (3,500 lb). Nation: Russia. Agency: MOM. Program: Molniya. Class: Communications. Type: Military communications satellite. Spacecraft Bus: KAUR-2. Spacecraft: Molniya-3. USAF Sat Cat: 9941 . COSPAR: 1977-032A. Apogee: 38,201 km (23,736 mi). Perigee: 2,169 km (1,347 mi). Inclination: 63.50 deg. Period: 718.10 min. 1977 October 28 - . 01:37 GMT - . Launch Site: Plesetsk. Launch Complex: Plesetsk LC43/3. LV Family: R-7. Launch Vehicle: Molniya 8K78M. Molniya 3-08 - . Payload: Molniya-3 s/n 18. Mass: 1,600 kg (3,500 lb). Nation: Russia. Agency: MOM. Program: Molniya. Class: Communications. Type: Military communications satellite. Spacecraft Bus: KAUR-2. Spacecraft: Molniya-3. USAF Sat Cat: 10455 . COSPAR: 1977-105A. Apogee: 38,508 km (23,927 mi). Perigee: 1,840 km (1,140 mi). Inclination: 63.70 deg. Period: 717.70 min. Continued operation of the long-range telephone and telegraph radio-communication system; transmission of USSR central television programmes to stations in the Orbita network and international cooperation. .
1978 January 24 - . 06:51 GMT - . Launch Site: Plesetsk. Launch Complex: Plesetsk LC43/3. LV Family: R-7. Launch Vehicle: Molniya 8K78M. Molniya 3-09 - . Payload: Molniya-3 s/n 20. Mass: 1,600 kg (3,500 lb). Nation: Russia. Agency: MOM. Program: Molniya. Class: Communications. Type: Military communications satellite. Spacecraft Bus: KAUR-2. Spacecraft: Molniya-3. Decay Date: 1990-04-24 . USAF Sat Cat: 10605 . COSPAR: 1978-009A. Apogee: 36,195 km (22,490 mi). Perigee: 85 km (52 mi). Inclination: 63.30 deg. Period: 636.80 min. 1978 October 13 - . 05:19 GMT - . Launch Site: Plesetsk. Launch Complex: Plesetsk LC43/3. LV Family: R-7. Launch Vehicle: Molniya 8K78M. Molniya 3-10 - . Payload: Molniya-3 s/n 22. Mass: 1,600 kg (3,500 lb). Nation: Russia. Agency: MOM. Program: Molniya. Class: Communications. Type: Military communications satellite. Spacecraft Bus: KAUR-2. Spacecraft: Molniya-3. USAF Sat Cat: 11057 . COSPAR: 1978-095A. Apogee: 33,590 km (20,870 mi). Perigee: 1,560 km (960 mi). Inclination: 63.80 deg. Period: 614.90 min. 1979 January 18 - . 15:42 GMT - . Launch Site: Plesetsk. Launch Complex: Plesetsk LC43/3. LV Family: R-7. Launch Vehicle: Molniya 8K78M. Molniya 3-11 - . Payload: Molniya-3 s/n 23. Mass: 1,600 kg (3,500 lb). Nation: Russia. Agency: MOM. Program: Molniya. Class: Communications. Type: Military communications satellite. Spacecraft Bus: KAUR-2. Spacecraft: Molniya-3. Decay Date: 1998-12-02 . USAF Sat Cat: 11240 . COSPAR: 1979-004A. Apogee: 39,973 km (24,838 mi). Perigee: 370 km (220 mi). Inclination: 63.00 deg. Period: 717.60 min. 1979 June 5 - . 23:28 GMT - . Launch Site: Plesetsk. Launch Complex: Plesetsk LC43/4. LV Family: R-7. Launch Vehicle: Molniya 8K78M. Molniya 3-12 - . Payload: Molniya-3 s/n 21. Mass: 1,600 kg (3,500 lb). Nation: Russia. Agency: MOM. Program: Molniya. Class: Communications. Type: Military communications satellite. Spacecraft Bus: KAUR-2. Spacecraft: Molniya-3. Decay Date: 1992-09-26 . USAF Sat Cat: 11384 . COSPAR: 1979-048A. Apogee: 19,362 km (12,030 mi). Perigee: 126 km (78 mi). Inclination: 63.00 deg. Period: 339.60 min. Continued operation of the long-range telephone and telegraph radio-communication system; transmission of USSR central television programmes to stations in the Orbita network and international cooperation. .
1980 April 18 - . 17:31 GMT - . Launch Site: Plesetsk. Launch Complex: Plesetsk LC41/1. LV Family: R-7. Launch Vehicle: Molniya 8K78M. FAILURE: Fourth stage failure.. Failed Stage: U.
Cosmos 1175 - . Payload: Molniya-3 s/n 26. Mass: 1,600 kg (3,500 lb). Nation: Russia. Agency: MOM. Program: Molniya. Class: Communications. Type: Military communications satellite. Spacecraft Bus: KAUR-2. Spacecraft: Molniya-3. Decay Date: 1980-09-29 . USAF Sat Cat: 11769 . COSPAR: 1980-031C. Apogee: 458 km (284 mi). Perigee: 251 km (155 mi). Inclination: 62.80 deg. Period: 91.60 min. Probable failed early warning. Investigation of the upper atmosphere and outer space..
1980 July 18 - . 10:37 GMT - . Launch Site: Plesetsk. Launch Complex: Plesetsk LC43/3. LV Family: R-7. Launch Vehicle: Molniya 8K78M. Molniya 3-13 - . Payload: Molniya-3 s/n 27. Mass: 1,600 kg (3,500 lb). Nation: Russia. Agency: MOM. Program: Molniya. Class: Communications. Type: Military communications satellite. Spacecraft Bus: KAUR-2. Spacecraft: Molniya-3. USAF Sat Cat: 11896 . COSPAR: 1980-063A. Apogee: 38,990 km (24,220 mi). Perigee: 1,364 km (847 mi). Inclination: 63.10 deg. Period: 717.80 min. 1981 January 9 - . 14:57 GMT - . Launch Site: Plesetsk. Launch Complex: Plesetsk LC41/1. LV Family: R-7. Launch Vehicle: Molniya 8K78M. Molniya 3-14 - . Payload: Molniya-3 s/n 25. Mass: 1,600 kg (3,500 lb). Nation: Russia. Agency: MOM. Program: Molniya. Class: Communications. Type: Military communications satellite. Spacecraft Bus: KAUR-2. 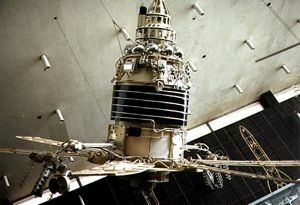 Spacecraft: Molniya-3. Decay Date: 1999-07-03 . USAF Sat Cat: 12133 . COSPAR: 1981-002A. Apogee: 39,863 km (24,769 mi). Perigee: 487 km (302 mi). Inclination: 63.60 deg. Period: 717.70 min. Replaced Molniya 3-10. Continued operation of the long-range telephone and telegraph radio-communication system within the Soviet Union and transmission of USSR central television programmes to stations in the Orbita and participating international networks (international cooperation scheme). 1981 March 24 - . 03:31 GMT - . Launch Site: Plesetsk. Launch Complex: Plesetsk LC41/1. LV Family: R-7. Launch Vehicle: Molniya 8K78M. Molniya 3-15 - . Payload: Molniya-3 s/n 24. Mass: 1,600 kg (3,500 lb). Nation: Russia. Agency: MOM. Program: Molniya. Class: Communications. Type: Military communications satellite. Spacecraft Bus: KAUR-2. Spacecraft: Molniya-3. Decay Date: 1992-10-19 . USAF Sat Cat: 12368 . COSPAR: 1981-030A. Apogee: 40,052 km (24,887 mi). Perigee: 201 km (124 mi). Inclination: 63.90 deg. Period: 715.70 min. Replace Molniya 3-11. Continued operation of the long-range telephone and telegraph radio-communication system within the Soviet Union and transmission of USSR central television programmes to stations in the Orbita and participating international networks (international cooperation scheme). 1981 June 9 - . 03:33 GMT - . Launch Site: Plesetsk. Launch Complex: Plesetsk LC41/1. LV Family: R-7. Launch Vehicle: Molniya 8K78M. Molniya 3-16 - . Payload: Molniya-3 s/n 30. Mass: 1,600 kg (3,500 lb). Nation: Russia. Agency: MOM. Program: Molniya. Class: Communications. Type: Military communications satellite. Spacecraft Bus: KAUR-2. Spacecraft: Molniya-3. Decay Date: 1998-02-10 . USAF Sat Cat: 12512 . COSPAR: 1981-054A. Apogee: 40,027 km (24,871 mi). Perigee: 213 km (132 mi). Inclination: 63.20 deg. Period: 715.50 min. Replaced Molniya 3-14. Operation of the long-range telephone and telegraph radio communications system in the USSR; transmission of USSR Central Television programmes to stations in the Orbita network and within the framework of international cooperation. 1981 September 11 - . 08:43 GMT - . Launch Site: Plesetsk. Launch Complex: Plesetsk LC43/3. LV Family: R-7. Launch Vehicle: Molniya 8K78M. FAILURE: Fourth stage failure.. Failed Stage: U.
Cosmos 1305 - . Payload: Molniya-3 s/n 28. Mass: 1,600 kg (3,500 lb). Nation: Russia. Agency: MOM. Program: Molniya. Class: Communications. Type: Military communications satellite. Spacecraft Bus: KAUR-2. Spacecraft: Molniya-3. USAF Sat Cat: 12818 . COSPAR: 1981-088A. Apogee: 12,807 km (7,957 mi). Perigee: 1,680 km (1,040 mi). Inclination: 64.10 deg. Period: 263.70 min. Investigation of the upper atmosphere and outer space..
1981 October 17 - . 05:59 GMT - . Launch Site: Plesetsk. Launch Complex: Plesetsk LC41/1. LV Family: R-7. Launch Vehicle: Molniya 8K78M. Molniya 3-17 - . Payload: Molniya-3 s/n 31. Mass: 1,600 kg (3,500 lb). Nation: Russia. Agency: MOM. Program: Molniya. Class: Communications. Type: Military communications satellite. Spacecraft Bus: KAUR-2. Spacecraft: Molniya-3. Decay Date: 1997-01-09 . USAF Sat Cat: 12915 . COSPAR: 1981-105A. Apogee: 39,183 km (24,347 mi). Perigee: 971 km (603 mi). Inclination: 62.70 deg. Period: 713.70 min. Replaced Molniya 3-12. Operation of the long-range telephone and telegraph radio communications system in the USSR; transmission of USSR Central Television programmes to stations in the Orbita network and within the framework of international cooperation. 1982 March 24 - . 00:12 GMT - . Launch Site: Plesetsk. Launch Complex: Plesetsk LC41/1. LV Family: R-7. Launch Vehicle: Molniya 8K78M. Molniya 3-18 - . Payload: Molniya-3 s/n 29. Mass: 1,600 kg (3,500 lb). Nation: Russia. Agency: MOM. Program: Molniya. Class: Communications. Type: Military communications satellite. Spacecraft Bus: KAUR-2. Spacecraft: Molniya-3. Decay Date: 1992-06-23 . USAF Sat Cat: 13107 . COSPAR: 1982-023A. Apogee: 38,589 km (23,978 mi). Perigee: 121 km (75 mi). Inclination: 63.90 deg. Period: 684.70 min. Replaced Molniya 3-15. Operation of the long-range telephone and telegraph radio communications system in the USSR; transmission of USSR Central Television programmes to stations in the Orbita network and within the framework of international cooperation. 1982 August 27 - . 00:02 GMT - . Launch Site: Plesetsk. Launch Complex: Plesetsk LC41/1. LV Family: R-7. Launch Vehicle: Molniya 8K78M. Molniya 3-19 - . Payload: Molniya-3 s/n 33. Mass: 1,600 kg (3,500 lb). Nation: Russia. Agency: MOM. Program: Molniya. Class: Communications. Type: Military communications satellite. Spacecraft Bus: KAUR-2. Spacecraft: Molniya-3. Decay Date: 2002-01-13 . USAF Sat Cat: 13432 . COSPAR: 1982-083A. Apogee: 38,841 km (24,134 mi). Perigee: 1,567 km (973 mi). Inclination: 63.90 deg. Period: 718.90 min. Replaced Molniya 3-13. Operation of the long-range telephone and telegraph radio communications system in the USSR; transmission of USSR Central Television programmes to stations in the Orbita network and within the framework of international cooperation. 1983 March 11 - . 15:29 GMT - . Launch Site: Plesetsk. Launch Complex: Plesetsk LC41/1. LV Family: R-7. Launch Vehicle: Molniya 8K78M. Molniya 3-20 - . Payload: Molniya-3 s/n 34. Mass: 1,600 kg (3,500 lb). Nation: Russia. Agency: MOM. Program: Molniya. Class: Communications. Type: Military communications satellite. Spacecraft Bus: KAUR-2. Spacecraft: Molniya-3. USAF Sat Cat: 13875 . COSPAR: 1983-015A. Apogee: 38,314 km (23,807 mi). Perigee: 2,069 km (1,285 mi). Inclination: 63.90 deg. Period: 718.40 min. Replaced Molniya 3-17. Operation of the long-range telephone and telegraph radio communications system in the USSR; transmission of USSR Central Television programmes to stations in the Orbita network and within the framework of international cooperation. 1983 August 30 - . 22:49 GMT - . Launch Site: Plesetsk. Launch Complex: Plesetsk LC41/1. LV Family: R-7. Launch Vehicle: Molniya 8K78M. Molniya 3-21 - . Payload: Molniya-3 s/n 32. Mass: 1,600 kg (3,500 lb). Nation: Russia. Agency: MOM. Program: Molniya. Class: Communications. Type: Military communications satellite. Spacecraft Bus: KAUR-2. Spacecraft: Molniya-3. Decay Date: 2001-05-22 . USAF Sat Cat: 14313 . COSPAR: 1983-090A. Apogee: 38,445 km (23,888 mi). Perigee: 1,864 km (1,158 mi). Inclination: 64.40 deg. Period: 716.90 min. Operation of the long-range telephone and telegraph radio communications system in the USSR; transmission of USSR Central Television programmes to stations in the Orbita network and within the framework of international cooperation. .
1983 December 21 - . 06:07 GMT - . Launch Site: Plesetsk. Launch Complex: Plesetsk LC41/1. LV Family: R-7. Launch Vehicle: Molniya 8K78M. Molniya 3-22 - . Payload: Molniya-3 s/n 35. Mass: 1,600 kg (3,500 lb). Nation: Russia. Agency: MOM. Program: Molniya. Class: Communications. Type: Military communications satellite. Spacecraft Bus: KAUR-2. Spacecraft: Molniya-3. Decay Date: 1993-08-18 . USAF Sat Cat: 14570 . COSPAR: 1983-123A. Apogee: 39,819 km (24,742 mi). Perigee: 176 km (109 mi). Inclination: 64.30 deg. Period: 710.50 min. Replaced Molniya 3-16. Operation of the long-range telephone and telegraph radio communications system in the USSR; transmission of USSR Central Television programmes to stations in the Orbita network and within the framework of international cooperation. 1985 January 16 - . 06:22 GMT - . Launch Site: Plesetsk. Launch Complex: Plesetsk LC43/4. LV Family: R-7. Launch Vehicle: Molniya 8K78M. Molniya 3-23 - . Payload: Molniya-3 s/n 36. Mass: 1,600 kg (3,500 lb). Nation: Russia. Agency: MOM. Program: Molniya. Class: Communications. Type: Military communications satellite. Spacecraft Bus: KAUR-2. Spacecraft: Molniya-3. Decay Date: 1994-12-05 . USAF Sat Cat: 15476 . COSPAR: 1985-004A. Apogee: 39,732 km (24,688 mi). Perigee: 626 km (388 mi). Inclination: 64.80 deg. Period: 717.90 min. Replaced Molniya 3-19. Operation of the long-range telephone and telegraph radio communications system in the USSR; transmission of USSR Central Television programmes to stations in the Orbita network and within the framework of international cooperation. 1985 May 29 - . 07:40 GMT - . Launch Site: Plesetsk. Launch Complex: Plesetsk LC43/4. LV Family: R-7. Launch Vehicle: Molniya 8K78M. Molniya 3-24 - . Payload: Molniya-3 s/n 39. Mass: 1,600 kg (3,500 lb). Nation: Russia. Agency: MOM. Program: Molniya. Class: Communications. Type: Military communications satellite. Spacecraft Bus: KAUR-2. Spacecraft: Molniya-3. USAF Sat Cat: 15738 . COSPAR: 1985-040A. Apogee: 38,895 km (24,168 mi). Perigee: 1,449 km (900 mi). Inclination: 64.10 deg. Period: 717.60 min. Replaced Molniya 3-18. Operation of the long-range telephone and telegraph radio communications system in the USSR; transmission of USSR Central Television programmes to stations in the Orbita network and within the framework of international cooperation. 1985 July 17 - . 01:05 GMT - . Launch Site: Plesetsk. Launch Complex: Plesetsk LC43/4. LV Family: R-7. Launch Vehicle: Molniya 8K78M. Molniya 3-25 - . Payload: Molniya-3 s/n 37. Mass: 1,600 kg (3,500 lb). Nation: Russia. Agency: MOM. Program: Molniya. Class: Communications. Type: Military communications satellite. Spacecraft Bus: KAUR-2. Spacecraft: Molniya-3. Decay Date: 2002-09-21 . USAF Sat Cat: 15909 . COSPAR: 1985-061A. Apogee: 38,334 km (23,819 mi). Perigee: 1,797 km (1,116 mi). Inclination: 64.70 deg. Period: 713.30 min. Operation of the long-range telephone and telegraph radio communications system in the USSR; transmission of USSR Central Television programmes to stations in the Orbita network and within the framework of international cooperation. .
1985 October 3 - . 07:33 GMT - . Launch Site: Plesetsk. Launch Complex: Plesetsk LC43/4. LV Family: R-7. Launch Vehicle: Molniya 8K78M. Molniya 3-26 - . Payload: Molniya-3 s/n 38. Mass: 1,600 kg (3,500 lb). Nation: Russia. Agency: MOM. Program: Molniya. Class: Communications. Type: Military communications satellite. Spacecraft Bus: KAUR-2. Spacecraft: Molniya-3. Decay Date: 2001-02-22 . USAF Sat Cat: 16112 . COSPAR: 1985-091A. Apogee: 38,722 km (24,060 mi). Perigee: 1,660 km (1,030 mi). Inclination: 64.60 deg. Period: 718.40 min. Operation of the long-range telephone and telegraph radio communications system in the USSR; transmission of USSR Central Television programmes to stations in the Orbita network and within the framework of international cooperation. .
1985 December 24 - . 18:56 GMT - . Launch Site: Plesetsk. Launch Complex: Plesetsk LC43/4. LV Family: R-7. Launch Vehicle: Molniya 8K78M. Molniya 3-27 - . Payload: Molniya-3 s/n 40. Mass: 1,600 kg (3,500 lb). Nation: Russia. Agency: MOM. Program: Molniya. Class: Communications. Type: Military communications satellite. Spacecraft Bus: KAUR-2. Spacecraft: Molniya-3. USAF Sat Cat: 16393 . COSPAR: 1985-117A. Apogee: 38,555 km (23,956 mi). Perigee: 1,554 km (965 mi). Inclination: 64.50 deg. Period: 712.80 min. Operation of the long-range telephone and telegraph radio communications system in the USSR; transmission of USSR Central Television programmes to stations in the Orbita network and within the framework of international cooperation. .
1986 April 18 - . 19:50 GMT - . Launch Site: Plesetsk. Launch Complex: Plesetsk LC41/1. LV Family: R-7. Launch Vehicle: Molniya 8K78M. Molniya 3-28 - . Payload: Molniya-3 s/n 43. Mass: 1,600 kg (3,500 lb). Nation: Russia. Agency: MOM. Program: Molniya. Class: Communications. Type: Military communications satellite. Spacecraft Bus: KAUR-2. Spacecraft: Molniya-3. Decay Date: 1999-02-25 . USAF Sat Cat: 16683 . COSPAR: 1986-031A. Apogee: 39,095 km (24,292 mi). Perigee: 1,255 km (779 mi). Inclination: 64.70 deg. Period: 717.70 min. Replaced Molniya 3-23. Operation of the long-range telephone and telegraph radio communications system in the USSR; transmission of USSR Central Television programmes to stations in the Orbita network and within the framework of international cooperation. 1986 June 19 - . 21:09 GMT - . Launch Site: Plesetsk. Launch Complex: Plesetsk LC41/1. LV Family: R-7. Launch Vehicle: Molniya 8K78M. Molniya 3-29 - . Payload: Molniya-3 s/n 44. Mass: 1,600 kg (3,500 lb). Nation: Russia. Agency: MOM. Program: Molniya. Class: Communications. Type: Military communications satellite. Spacecraft Bus: KAUR-2. Spacecraft: Molniya-3. Decay Date: 1996-11-10 . USAF Sat Cat: 16802 . COSPAR: 1986-049A. Apogee: 38,815 km (24,118 mi). Perigee: 1,581 km (982 mi). Inclination: 64.70 deg. Period: 718.60 min. Replaced Molniya 3-20. Operation of the long-range telephone and telegraph radio communications system in the USSR; transmission of USSR Central Television programmes to stations in the Orbita network and within the framework of international cooperation. 1986 October 20 - . 08:49 GMT - . Launch Site: Plesetsk. Launch Complex: Plesetsk LC43/4. LV Family: R-7. Launch Vehicle: Molniya 8K78M. Molniya 3-30 - . Payload: Molniya-3 s/n 41. Mass: 1,600 kg (3,500 lb). Nation: Russia. Agency: MOM. Program: Molniya. Class: Communications. Type: Military communications satellite. Spacecraft Bus: KAUR-2. Spacecraft: Molniya-3. Decay Date: 1999-10-15 . USAF Sat Cat: 17038 . COSPAR: 1986-079A. Apogee: 38,570 km (23,960 mi). Perigee: 1,742 km (1,082 mi). Inclination: 64.90 deg. Period: 716.90 min. Replaced Molniya 3-21. Operation of the long-range telephone and telegraph radio communications system in the USSR; transmission of USSR Central Television programmes to stations in the Orbita network and within the framework of international cooperation. 1987 January 22 - . 16:06 GMT - . Launch Site: Plesetsk. Launch Complex: Plesetsk LC41/1. LV Family: R-7. Launch Vehicle: Molniya 8K78M. Molniya 3-31 - . Payload: Molniya-3 s/n 42. Mass: 1,600 kg (3,500 lb). Nation: Russia. Agency: MOM. Program: Molniya. Class: Communications. Type: Military communications satellite. Spacecraft Bus: KAUR-2. Spacecraft: Molniya-3. USAF Sat Cat: 17328 . COSPAR: 1987-008A. Apogee: 39,069 km (24,276 mi). Perigee: 1,285 km (798 mi). Inclination: 64.10 deg. Period: 717.80 min. Operation of the long-range telephone and telegraph radio communications system in the USSR; transmission of USSR Central Television programmes to stations in the Orbita network and within the framework of international cooperation. .
1988 May 26 - . 15:27 GMT - . Launch Site: Plesetsk. Launch Complex: Plesetsk LC43/4. LV Family: R-7. Launch Vehicle: Molniya 8K78M. Molniya 3-32 - . Payload: Molniya-3 s/n 49. Mass: 1,600 kg (3,500 lb). Nation: Russia. Agency: MOM. Program: Molniya. Class: Communications. Type: Military communications satellite. Spacecraft Bus: KAUR-2. Spacecraft: Molniya-3. Decay Date: 2002-03-15 . USAF Sat Cat: 19189 . COSPAR: 1988-044A. Apogee: 38,104 km (23,676 mi). Perigee: 2,066 km (1,283 mi). Inclination: 64.60 deg. Period: 714.10 min. Operation of the long-range telephone and telegraph radio communications system in the USSR; transmission of USSR Central Television programmes to stations in the Orbita network and within the framework of international cooperation. .
1988 September 29 - . 09:07 GMT - . Launch Site: Plesetsk. Launch Complex: Plesetsk LC41/1. LV Family: R-7. Launch Vehicle: Molniya 8K78M. Molniya 3-33 - . Payload: Molniya-3 s/n 51. Mass: 1,600 kg (3,500 lb). Nation: Russia. Agency: MOM. Program: Molniya. Class: Communications. Type: Military communications satellite. Spacecraft Bus: KAUR-2. Spacecraft: Molniya-3. Decay Date: 2002-02-04 . USAF Sat Cat: 19541 . COSPAR: 1988-090A. Apogee: 38,414 km (23,869 mi). Perigee: 1,867 km (1,160 mi). Inclination: 65.00 deg. Period: 716.30 min. Operation of the long-range telephone and telegraph radio communications system in the USSR; transmission of USSR Central Television programmes to stations in the Orbita network and within the framework of international cooperation. .
1988 December 22 - . 14:15 GMT - . Launch Site: Plesetsk. Launch Complex: Plesetsk LC43/3. LV Family: R-7. Launch Vehicle: Molniya 8K78M. Molniya 3-34 - . Payload: Molniya-3 s/n 52. Mass: 1,600 kg (3,500 lb). Nation: Russia. Agency: MOM. Program: Molniya. Class: Communications. Type: Military communications satellite. Spacecraft Bus: KAUR-2. Spacecraft: Molniya-3. Decay Date: 2007-05-27 . USAF Sat Cat: 19713 . COSPAR: 1988-112A. Apogee: 39,481 km (24,532 mi). Perigee: 899 km (558 mi). Inclination: 63.90 deg. Period: 718.30 min. Operation of the long-range telephone and telegraph radio communications system in the USSR; transmission of USSR Central Television programmes to stations in the Orbita network and within the framework of international cooperation. First launch from LC43/3 since it was damaged by a booster accident in June 1987. 1989 June 8 - . 17:09 GMT - . Launch Site: Plesetsk. Launch Complex: Plesetsk LC43/3. LV Family: R-7. Launch Vehicle: Molniya 8K78M. Molniya 3-35 - . Payload: Molniya-3 s/n 45. Mass: 1,600 kg (3,500 lb). Nation: Russia. Agency: MOM. Program: Molniya. Class: Communications. Type: Military communications satellite. Spacecraft Bus: KAUR-2. Spacecraft: Molniya-3. Decay Date: 2001-12-14 . USAF Sat Cat: 20052 . COSPAR: 1989-043A. Apogee: 38,918 km (24,182 mi). Perigee: 1,436 km (892 mi). Inclination: 64.80 deg. Period: 717.80 min. Operation of the long-range telephone and telegraph radio communications system in the USSR; transmission of USSR Central Television programmes to stations in the Orbita network and within the framework of international cooperation. .
1989 November 28 - . 10:02 GMT - . Launch Site: Plesetsk. Launch Complex: Plesetsk LC43/3. LV Family: R-7. Launch Vehicle: Molniya 8K78M. Molniya 3-36 - . Payload: Molniya-3 s/n 46. Mass: 1,600 kg (3,500 lb). Nation: Russia. Agency: MOM. Program: Molniya. Class: Communications. Type: Military communications satellite. Spacecraft Bus: KAUR-2. Spacecraft: Molniya-3. Decay Date: 2000-05-19 . USAF Sat Cat: 20338 . COSPAR: 1989-094A. Apogee: 39,655 km (24,640 mi). Perigee: 698 km (433 mi). Inclination: 64.80 deg. Period: 717.80 min. Operation of the long-range telephone and telegraph radio communications system in the USSR; transmission of USSR Central Television programmes to stations in the Orbita network and within the framework of international cooperation. .
1990 January 23 - . 02:51 GMT - . Launch Site: Plesetsk. Launch Complex: Plesetsk LC43/4. LV Family: R-7. Launch Vehicle: Molniya 8K78M. Molniya 3-37 - . Payload: Molniya-3 s/n 53. Mass: 1,600 kg (3,500 lb). Nation: Russia. Agency: MOM. Program: Molniya. Class: Communications. Type: Military communications satellite. Spacecraft Bus: KAUR-2. Spacecraft: Molniya-3. Decay Date: 2003-06-23 . USAF Sat Cat: 20444 . COSPAR: 1990-006A. Apogee: 39,367 km (24,461 mi). Perigee: 982 km (610 mi). Inclination: 64.90 deg. Period: 717.70 min. Operation of the long-range telephone and telegraph radio communications system in the USSR; transmission of USSR Central Television programmes to stations in the Orbita network and within the framework of international cooperation. .
1990 June 13 - . 01:07 GMT - . Launch Site: Plesetsk. Launch Complex: Plesetsk LC43/3. LV Family: R-7. Launch Vehicle: Molniya 8K78M. Molniya 3-38 - . Payload: Molniya-3 s/n 47. Mass: 1,600 kg (3,500 lb). Nation: Russia. Agency: MOM. Program: Molniya. Class: Communications. Type: Military communications satellite. Spacecraft Bus: KAUR-2. Spacecraft: Molniya-3. Decay Date: 2006-02-26 . USAF Sat Cat: 20646 . COSPAR: 1990-052A. Apogee: 39,778 km (24,716 mi). Perigee: 571 km (354 mi). Inclination: 63.50 deg. Period: 717.70 min. Operation of the long-range telephone and telegraph radio communications system in the USSR; transmission of USSR Central Television programmes to stations in the Orbita network and within the framework of international cooperation. .
1990 September 20 - . 20:16 GMT - . Launch Site: Plesetsk. Launch Complex: Plesetsk LC43/4. LV Family: R-7. Launch Vehicle: Molniya 8K78M. Molniya 3-39 - . Payload: Molniya-3 s/n 54. Mass: 1,600 kg (3,500 lb). Nation: Russia. Agency: MOM. Program: Molniya. Class: Communications. Type: Military communications satellite. Spacecraft Bus: KAUR-2. Spacecraft: Molniya-3. Decay Date: 2009-07-08 . USAF Sat Cat: 20813 . COSPAR: 1990-084A. Apogee: 39,142 km (24,321 mi). Perigee: 1,209 km (751 mi). Inclination: 63.20 deg. Period: 717.70 min. Operation of the long-range telephone and telegraph radio communications system in the USSR; transmission of USSR Central Television programmes to stations in the Orbita network and within the framework of international cooperation. .
1991 March 22 - . 12:19 GMT - . Launch Site: Plesetsk. Launch Complex: Plesetsk LC43/4. LV Family: R-7. Launch Vehicle: Molniya 8K78M. Molniya 3-40 - . Payload: Molniya-3 s/n 55. Mass: 1,600 kg (3,500 lb). Nation: Russia. Agency: MOM. Program: Molniya. Class: Communications. Type: Military communications satellite. Spacecraft Bus: KAUR-2. Spacecraft: Molniya-3. USAF Sat Cat: 21196 . COSPAR: 1991-022A. Apogee: 37,374 km (23,223 mi). Perigee: 2,948 km (1,831 mi). Inclination: 64.50 deg. Period: 717.10 min. Operation of the long-range telephone and telegraph radio communications system in the USSR; transmission of USSR Central Television programmes to stations in the Orbita network and within the framework of international cooperation. .
1991 September 17 - . 20:01 GMT - . Launch Site: Plesetsk. Launch Complex: Plesetsk LC43/4. LV Family: R-7. Launch Vehicle: Molniya 8K78M. Molniya 3-41 - . Payload: Molniya-3 s/n 48. Mass: 1,600 kg (3,500 lb). Nation: Russia. Agency: MOM. Program: Molniya. Class: Communications. Type: Military communications satellite. Spacecraft Bus: KAUR-2. Spacecraft: Molniya-3. USAF Sat Cat: 21706 . COSPAR: 1991-065A. Apogee: 39,145 km (24,323 mi). Perigee: 1,209 km (751 mi). Inclination: 63.10 deg. Period: 717.80 min. Operation of the long-range telephone and telegraph radio communications system in the USSR; transmission of USSR Central Television programmes to stations in the Orbita network and within the framework of international cooperation. .
1992 October 14 - . 19:58 GMT - . Launch Site: Plesetsk. Launch Complex: Plesetsk LC43/3. LV Family: R-7. Launch Vehicle: Molniya 8K78M-PVB. Molniya 3-42 - . Payload: Molniya-3 s/n 50. Mass: 1,600 kg (3,500 lb). Nation: Russia. Agency: MOM. Program: Molniya. Class: Communications. Type: Military communications satellite. Spacecraft Bus: KAUR-2. Spacecraft: Molniya-3. USAF Sat Cat: 22178 . COSPAR: 1992-067A. Apogee: 38,190 km (23,730 mi). Perigee: 2,167 km (1,346 mi). Inclination: 64.00 deg. Period: 717.80 min. Operation of the long-range telephone and telegraph radio communications system, transmission of television programmes to stations in the Orbita network and international cooperation. .
1992 December 2 - . 01:57 GMT - . Launch Site: Plesetsk. Launch Complex: Plesetsk LC43/3. LV Family: R-7. Launch Vehicle: Molniya 8K78M-PVB. Molniya 3-43 - . Payload: Molniya-3 s/n 56. Mass: 1,600 kg (3,500 lb). Nation: Russia. Agency: MOM. Program: Molniya. Class: Communications. Type: Military communications satellite. Spacecraft Bus: KAUR-2. Spacecraft: Molniya-3. Decay Date: 2008-11-08 . USAF Sat Cat: 22255 . COSPAR: 1992-085A. Apogee: 39,109 km (24,301 mi). Perigee: 1,169 km (726 mi). Inclination: 64.20 deg. Period: 716.20 min. Operation of the long-range telephone and telegraph radio communications system, transmission of television programmes to stations in the Orbita network and international cooperation. .
1993 April 21 - . 00:23 GMT - . Launch Site: Plesetsk. Launch Complex: Plesetsk LC43/4. LV Family: R-7. Launch Vehicle: Molniya 8K78M. Molniya 3-44 - . Payload: Molniya-3 s/n 57. Mass: 1,600 kg (3,500 lb). Nation: Russia. Agency: MOM. Program: Molniya. Class: Communications. Type: Military communications satellite. Spacecraft Bus: KAUR-2. Spacecraft: Molniya-3. Decay Date: 2004-01-25 . USAF Sat Cat: 22633 . COSPAR: 1993-025A. Apogee: 39,603 km (24,608 mi). Perigee: 744 km (462 mi). Inclination: 62.90 deg. Period: 717.70 min. Operation of the long-range telephone and telegraph radio communications system, transmission of television programmes to stations in the Orbita network and international cooperation. Replaced Molniya 3-41..
1993 August 4 - . 00:52 GMT - . Launch Site: Plesetsk. Launch Complex: Plesetsk LC43/3. LV Family: R-7. Launch Vehicle: Molniya 8K78M. Molniya 3-45 - . Payload: Molniya-3 s/n 58. Mass: 1,600 kg (3,500 lb). Nation: Russia. Agency: MOM. Program: Molniya. Class: Communications. Type: Military communications satellite. Spacecraft Bus: KAUR-2. Spacecraft: Molniya-3. Decay Date: 2013-12-31 . USAF Sat Cat: 22729 . COSPAR: 1993-049A. Apogee: 37,920 km (23,560 mi). Perigee: 2,500 km (1,500 mi). Inclination: 64.40 deg. Period: 719.10 min. Operation of the long range telephone and telegraph radio-communications system. Replaced Molniya 3-37..
1994 August 23 - . 14:30 GMT - . Launch Site: Plesetsk. Launch Complex: Plesetsk LC43/4. Launch Pad: LC43/4?. LV Family: R-7. Launch Vehicle: Molniya 8K78M. Molniya-3-46 - . Payload: Molniya-3 s/n 60. Mass: 1,600 kg (3,500 lb). Nation: Russia. Agency: MOM. Program: Molniya. Class: Communications. Type: Military communications satellite. Spacecraft Bus: KAUR-2. Spacecraft: Molniya-3. Decay Date: 2009-02-10 . USAF Sat Cat: 23211 . COSPAR: 1994-051A. Apogee: 38,837 km (24,132 mi). Perigee: 1,518 km (943 mi). Inclination: 64.90 deg. Period: 717.80 min. Replaced Molniya 3-40. As of 1994, the Molniya 3 constellation consisted of Molniya 3-36, 3-38, 3-39, 3-42, 3-43, 3-44, 3-45, and 3-46..
1995 August 9 - . 01:21 GMT - . Launch Site: Plesetsk. Launch Complex: Plesetsk LC43/3. LV Family: R-7. Launch Vehicle: Molniya 8K78M. Molniya-3-47 - . Payload: Molniya-3 s/n 59. Mass: 1,600 kg (3,500 lb). Nation: Russia. Agency: MOM. Program: Molniya. Class: Communications. Type: Military communications satellite. Spacecraft Bus: KAUR-2. Spacecraft: Molniya-3. USAF Sat Cat: 23642 . COSPAR: 1995-042A. Apogee: 39,142 km (24,321 mi). Perigee: 1,216 km (755 mi). Inclination: 64.20 deg. Period: 717.80 min. Voice and TV coverage..
1996 October 24 - . 11:37 GMT - . Launch Site: Plesetsk. Launch Complex: Plesetsk LC43/4. LV Family: R-7. Launch Vehicle: Molniya 8K78M. Molniya-3-48 - . Payload: Molniya-3 s/n 62. Mass: 1,600 kg (3,500 lb). Nation: Russia. Agency: MOM. Program: Molniya. Class: Communications. Type: Military communications satellite. Spacecraft Bus: KAUR-2. Spacecraft: Molniya-3. Decay Date: 2007-10-18 . USAF Sat Cat: 24640 . COSPAR: 1996-060A. Apogee: 38,520 km (23,930 mi). Perigee: 1,837 km (1,141 mi). Inclination: 64.90 deg. Period: 717.80 min. 1998 July 1 - . 00:48 GMT - . Launch Site: Plesetsk. Launch Complex: Plesetsk LC43/3. LV Family: R-7. Launch Vehicle: Molniya 8K78M. Molniya-3-49 - . Payload: Molniya-3 s/n 61. Mass: 1,600 kg (3,500 lb). Nation: Russia. Agency: MOM. Manufacturer: Reshetnev bureau. Program: Molniya. Class: Communications. Type: Military communications satellite. Spacecraft Bus: KAUR-2. Spacecraft: Molniya-3. Decay Date: 2011-02-02 . USAF Sat Cat: 25379 . COSPAR: 1998-040A. Apogee: 39,850 km (24,760 mi). Perigee: 501 km (311 mi). Inclination: 62.80 deg. Period: 717.70 min. 1999 July 8 - . 08:45 GMT - . Launch Site: Plesetsk. Launch Complex: Plesetsk LC43/3. LV Family: R-7. Launch Vehicle: Molniya 8K78M. Molniya-3-50 - . Payload: Molniya-3 s/n 63. Mass: 1,600 kg (3,500 lb). Nation: Russia. Agency: MO. Manufacturer: Reshetnev bureau. Program: Molniya. Class: Communications. Type: Military communications satellite. Spacecraft Bus: KAUR-2. Spacecraft: Molniya-3. USAF Sat Cat: 25847 . COSPAR: 1999-036A. Apogee: 38,540 km (23,940 mi). Perigee: 1,811 km (1,125 mi). Inclination: 63.50 deg. Period: 717.70 min. The launch was from one of the three active R-7 class pads at Plesetsk (LC16/pad 2, LC43/pad 3, LC43/pad 4) and used the 8K78M launch vehicle, consisting of the 11S59 core packet, the 11S510 Block I third stage, and the Block-ML upper stage. The Block ML and the payload were placed in a 62.8 degree low parking orbit and then the ML fired to deliver the payload to a 12-hour operational orbit. This was the 52nd Molniya-3 to be launched (two were orbited under the Cosmos designation). 2001 July 20 - . 00:17 GMT - . Launch Site: Plesetsk. Launch Complex: Plesetsk LC43/4. LV Family: R-7. Launch Vehicle: Molniya 8K78M. Molniya-3-51 - . Payload: Molniya-3K. Mass: 1,900 kg (4,100 lb). Nation: Russia. Agency: MO. Manufacturer: Reshetnev bureau. Program: Molniya. Class: Communications. Type: Military communications satellite. Spacecraft Bus: KAUR-2. Spacecraft: Molniya-3. Decay Date: 2016-12-19 . USAF Sat Cat: 26867 . COSPAR: 2001-030A. Apogee: 39,467 km (24,523 mi). Perigee: 888 km (551 mi). Inclination: 62.90 deg. Period: 717.80 min. Molniya-3K military communications satellite and booster fourth stage entered a 214 x 420 km x 62.8 deg parking orbit at 0026 GMT. About half an orbit later, over the southeast Pacific, the NPO Lavochkin Block-ML fourth stage fired to put the payload into a 407 x 40831 km x 62.9 deg orbit. The Molniya-3K was an improved version of the Molniya-3 military satellite. 2001 October 25 - . 11:34 GMT - . Launch Site: Plesetsk. Launch Complex: Plesetsk LC43/3. LV Family: R-7. Launch Vehicle: Molniya 8K78M. Molniya-3-52 - . Mass: 1,900 kg (4,100 lb). Nation: Russia. Agency: VKS. Manufacturer: Reshetnev bureau. Program: Molniya. Class: Communications. Type: Military communications satellite. Spacecraft Bus: KAUR-2. Spacecraft: Molniya-3. Decay Date: 2011-12-06 . USAF Sat Cat: 26970 . COSPAR: 2001-050A. Apogee: 40,658 km (25,263 mi). Perigee: 646 km (401 mi). Inclination: 62.90 deg. Launch delayed from October 11. The Molniya-3 military communications satellite and Block ML upper stage were inserted into an initial 214 x 617 km x 62.8 deg parking orbit at 1143 GMT. At apogee over the South Pacific, the BOZ ullage motor fired and separated, then the ML main engine ignited and put the Molniya-3 satellite into its 615 x 40659 km x 62.8 deg operational orbit with apogee over the northern hemisphere. 2003 June 19 - . 20:00 GMT - . Launch Site: Plesetsk. Launch Complex: Plesetsk LC16/2. LV Family: R-7. Launch Vehicle: Molniya 8K78M. Molniya 3-53 - . Mass: 1,600 kg (3,500 lb). Nation: Russia. Agency: VKS. Program: Molniya. Class: Communications. Type: Military communications satellite. Spacecraft Bus: KAUR-2. Spacecraft: Molniya-3. Decay Date: 2013-06-15 . USAF Sat Cat: 27834 . COSPAR: 2003-029A. Apogee: 39,703 km (24,670 mi). Perigee: 651 km (404 mi). Inclination: 62.90 deg. Period: 717.80 min. The satellite entered a 211 x 559 km x 62.8 deg parking orbit, and then the Blok ML upper stage fired to put it in a 604 x 40578 km x 62.7 deg drift orbit with a 734 minute period. The orbit was later adjusted to 717.8 minutes (semi-synchronous) with an onboard engine. The special orbital inclination of 63 degrees minimizes the rotation of the orbit in its plane due to the oblateness of the Earth, keeping the apogee in the same apparent position over the northern hemisphere.